With Signal's class-leading end-to-end encryption, you can be sure your messages will remain secure as they travel to the recipient. However, once the message arrives, its privacy is completely dependent on the receiver, who could share it anywhere if they wanted. To patch this vulnerability, Signal added disappearing messaging. With disappearing messages, any text you send will expire after a pre-specified period of time. 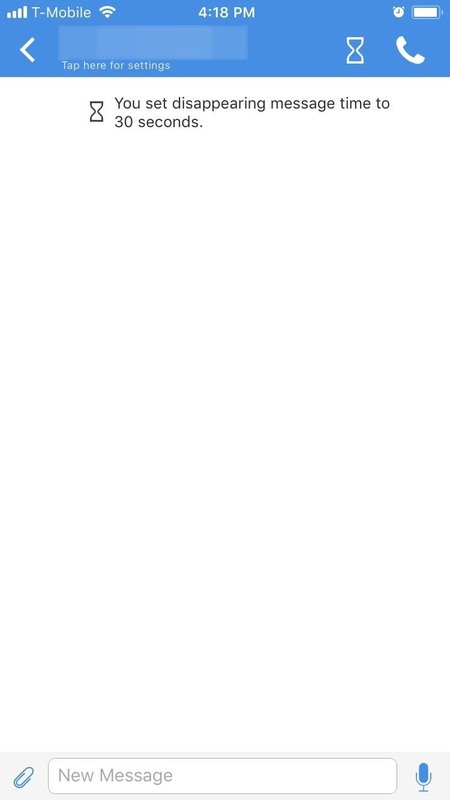 The recipient will be alerted to this timer, which will not begin until they have viewed the message. 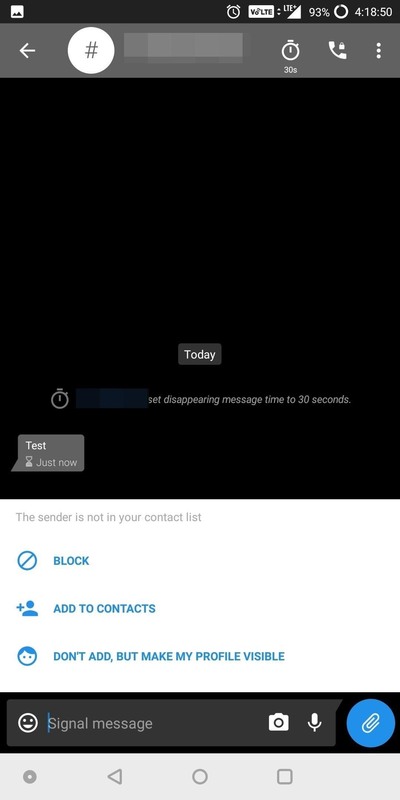 Once expired, the message is deleted from all devices (although screenshots are possible). Ultimately, it's one of the few ways that you can still send truly private messages. Disappearing messaging requires that both parties in the conversation are Signal users. An easy way to tell is by selecting a contact to begin messaging. There should be phone icon to the right of their name. If the contact is a Signal user, the phone should have a small padlock above it which indicates secure calling is available — therefore, they must be a Signal user. Next, open a conversation (either a previous one or a new one). From this point, the process is slightly different depending on whether you're using Android or an iPhone. For iOS users, select the recipient's number or name (where it says "Tap here for settings"). Enable the toggle next to "Disappearing Messages" and adjust the slider to a duration of your choosing. When done correctly, an hourglass will appear between the number (or name) and the phone icon. 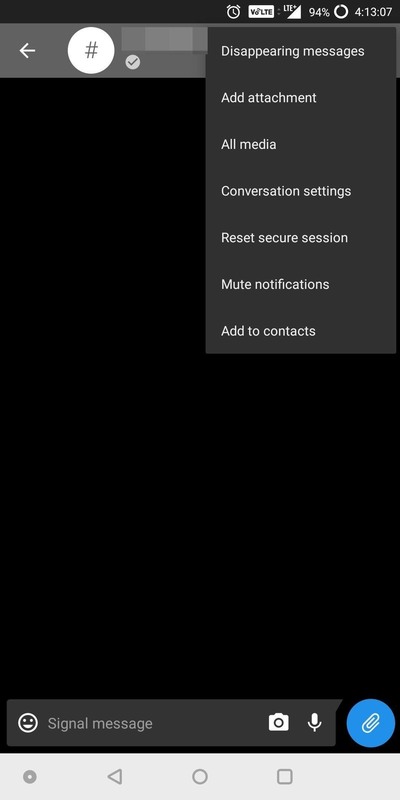 For Android users, tap the menu button in the top-right corner of any conversation and choose "Disappearing messages." Using the pop-up menu, scroll up to select the desired duration. When done correctly, a stopwatch will appear between the number and the phone icon in your conversation thread. Once enabled, send a message as normal. 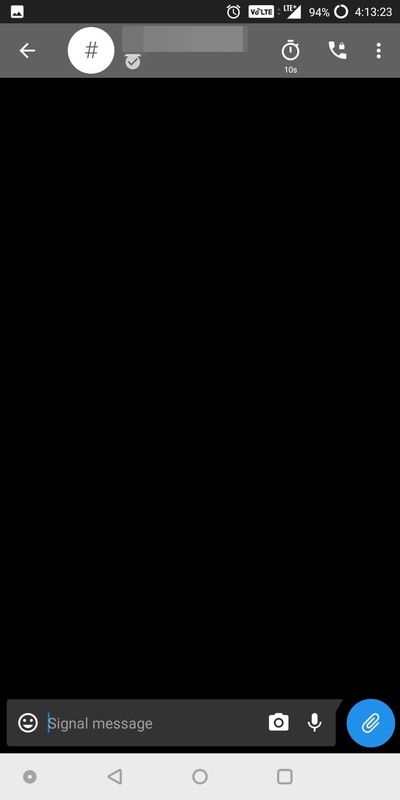 When the message is sent, the other person will receive a message indicating that the message will disappear after the predetermined duration. In addition, an hourglass will appear next to your message which will deplete at a rate matching the assigned duration. Once it depletes, the message will vanish. As previously mentioned, the message must be opened to begin the timer. Therefore, if you receive a notification but don't read the message until later, it will not disappear as long as you didn't open the message in the app. In addition, if Screen Security is disabled, the user will be able to take a screenshot of the message, preserving it. However, by default Screen Security is enabled, so this won't be possible in most cases. 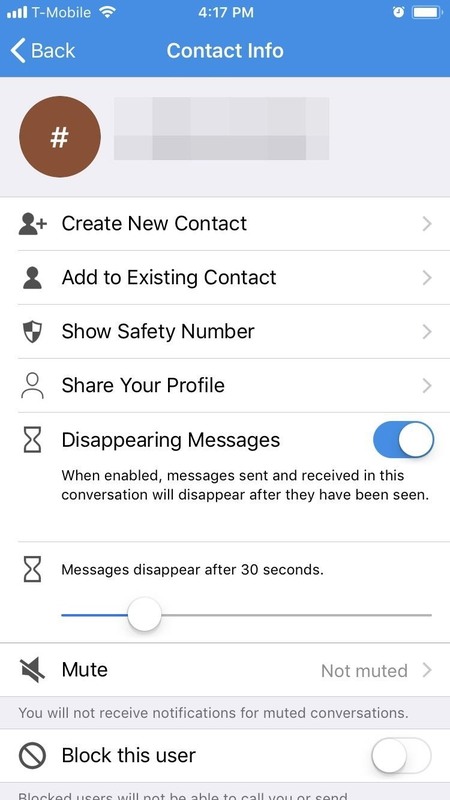 With Disappearing messages, you don't have to worry about a private message you send being shown to other people. After the duration expires, your message is gone. 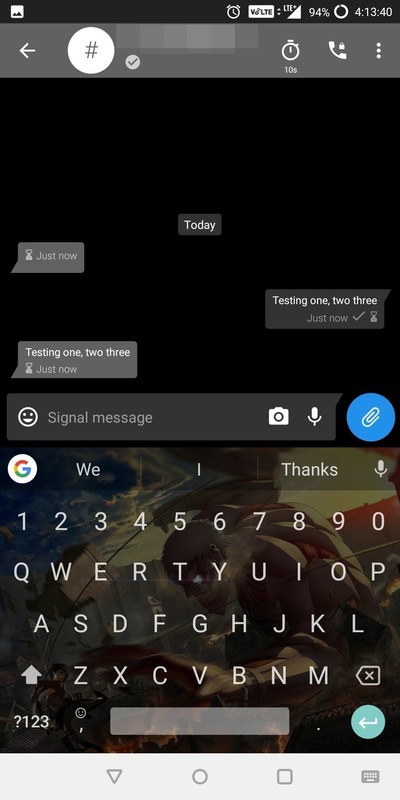 What do you think about disappearing messages? Will you be using this feature? Let us know in the comments below. How To: New Self-Destructing Messaging App "Confide" Promises to Do Privacy Better Than Snapchat—But Do They Deliver?